It is important that you read and understand the points below about the procedures involved during thermal imaging, the relation of Thermography to alternative testing methods, the implications of the doctor’s interpretation/report etc. 1. I understand that thermography is a procedure utilizing infrared imaging cameras to visualize and obtain an image of the infrared heat coming off the surface of the skin. Since infrared imaging only detects heat at the surface of the body, the technology cannot see into the cranial vault, thoracic cavity, or deep into the body to visualize organs or bones. The thermographic procedure is performed in order to analyze temperature patterns on the body that may or may not indicate the presence of an abnormal process. Consequently, a normal thermogram does not rule out the presence of significant pathology. All thermography reports are meant to identify heat patterns that suggest potential risk markers only and do not in any way suggest a diagnosis and/or treatment. Your thermogram report is meant to be used by your treating doctor as an adjunctive aid in the assessment of your health. The report is not to be used for self-diagnosis and/or treatment. 2. I understand that infrared imaging of the breast is not intended as a replacement for or alternative to mammography, ultrasound, MRI or any other form of imaging. 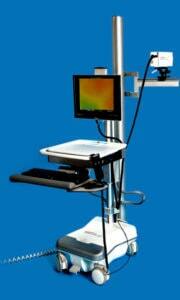 Thermography is not a stand-alone screening tool, meaning that it is not to be used by itself for screening. 3. I understand that infrared imaging of the breasts and mammography do not provide the same information on breast tissues; and therefore, provide different values on breast tissue assessment (thermography looking for physiological changes and mammography looking for anatomical changes). 4. I understand that the doctor and/or technician providing the infrared imaging, and the doctor interpreting the images, are not diagnosing and/or treating breast abnormalities. Follow up care relating to treatment must be done by properly trained and licensed health care specialists. 5. I understand that if by any chance, a questionable thermal finding is discovered on my thermogram, I will comply with any and all follow-up or referral recommendations made on my report; such as following up with an ultrasound / mammogram / MRI / etc. or with my primary care doctor to ensure I receive proper care. 6. I understand that I will be disrobed from the waist up for breast exams and buttocks exposed for lower body exams. I will then be imaged with an infrared camera. I understand that this procedure does not use radiation, is not harmful to me, the equipment does not touch my body, and that its sole function is to produce an image of the heat coming off my body. 7. I understand that thermography reports do not in any way suggest a diagnosis and/or treatment. No surgical procedure should be based on thermal imaging alone. Additional procedures, which depend on the nature of the condition and/or body region, are needed to achieve a final diagnosis. 8. I understand that thermography must not be confused with CT, MRI, or other types of body imaging. These are structural imaging technologies that look for the physical presence of tumours and other structural changes inside the body. Thermography does not provide this type of imaging; and as such, cannot be used to screen for the spread of cancer (metastasis). 9. I understand that the results of my thermograms may be made available to my doctors and others as I so designate for further analysis in the overall evaluation of my health. 10. I have also been given pre-imaging instructions to follow and I acknowledge that I have fully complied with the preparation protocol prior to imaging. 11. Having understood the above, and having received satisfactory answers to any and all questions that I may have had concerning the purpose and outcome, risk factors and benefits of thermography, I hereby consent to both initial and all subsequent infrared imaging.